Bluebonnet Images - Bluebonnet Sunrise Mist - We capture this bluebonnet sunrise this as the sun rays were rising over this ranch with the bluebonnet and the morning mist hovering over the field. 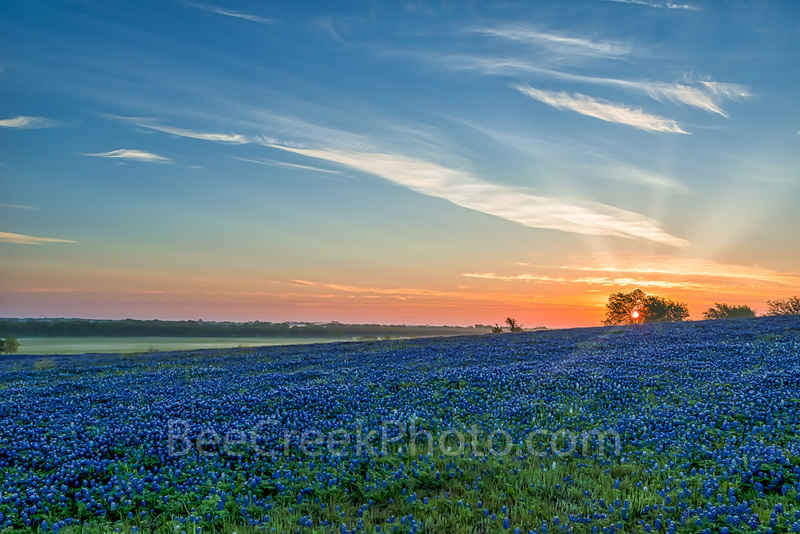 Bluebonnet pictures are one of our favorite to capture and on a good year like they were this year it was easy texas landscape to capture. Many years since the images of bluebonnets have been more elusive but we are persistant and continue to search out images of bluebonnets and other wildflowers every year. Photo © copyright by Bee Creek Photography - Tod Grubbs / Cynthia Hestand.